That she spent alive on earth . . .
-The cars . . .
-the house . . . So think about this long and hard . 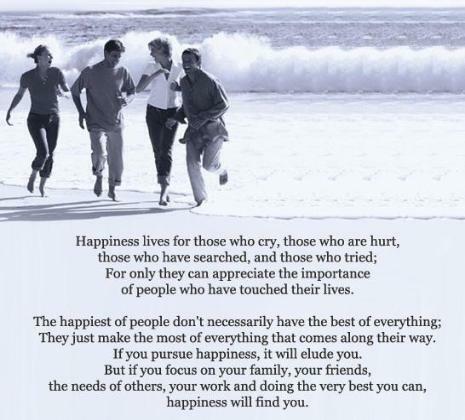 . .
-And love the people in our lives. -And more often wear a smile . . .
with your life's actions to rehash . . .
then asked his grandfather: "Which wolf wins?" The old man simply replied, "The one you feed."